Central to T.J.'s evolving agenda is the use of intersectional scholarship to trans*form postsecondary education and experiences. Conceptualized with S Simmons and Kara Devaney (2015), trans*formational pedagogy foregrounds trans people in achieving the democratic and emancipatory potentials of higher education. T.J.'s research interests involve trans* and queer student, staff, and faculty campus experiences and leadership, particularly those of queer and trans* people of color, justice-centered curriculum and pedagogy, and student activism. 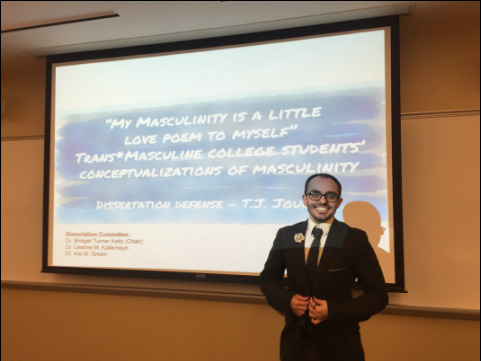 His dissertation entitled "My masculinity is a little love poem to myself": Trans*masculine college students' conceptualizations of masculinity revealed the racialized, embodied, and authentic pathways undertaken by trans*masculine college students. The unique study has broad implications for scholars and practitioners in higher education, men's and masculinity studies/programming, and masculine people of a multitude of genders. T.J. aims to elevate the use of critical, collaborative, and participatory frameworks and methodologies in higher education through his academic and intellectual work, as well as through co-creating and formerly managing and editing the Journal of Critical Scholarship on Higher Education and Student Affairs (JCSHESA). As currently the only open-access, open-review journal focused on utilizing critical frameworks in higher education JCSHESA seeks to decenter academia as the producer, consumer, and owner of knowledge through community outreach, developmental review processes, and professional development opportunities to engage those usually disenfranchised from scholarly work. 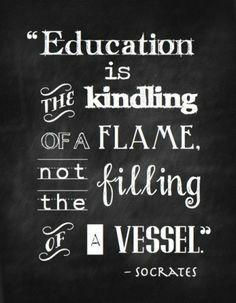 Click the orange button to the right for a downloadable PDF copy of T.J.'s educator philosophy statement, as informed by critical pedagogy. Jourian, T.J. & Nicolazzo, Z. D. (2017). Bringing our communities to the research table: The liberatory potential of collaborative methodological practices. Educational Action Research, 25(4), 594-609. Advanced online publication. doi:10.1080/09650792.2016.1203343. Jourian, T.J. (2017). Trans*forming college masculinities: Carving out trans*masculine pathways through the threshold of dominance. International Journal of Qualitative Studies in Education, 30(3), 245-265. doi:10.1080/09518398.2016.1257752. Squire, D. D., Jourian, T.J., Kelly, B. T., Bumbry, M., Byrd, A., & Manzano, L. J. (2016). A critical race feminist analysis of men of color matriculating into a higher education doctoral program. Journal of Diversity in Higher Education. Advance online publication. doi: 10.1037/dhe0000025. Jourian, T.J. (2016). Trans*forming men and masculinity studies in higher education: A critical review. NORMA: International Journal of Masculinity Studies. Advanced online publication. doi:10.1080/18902138.2016.1260313. Engberg, M.E., Jourian, T.J., & Davidson, L.M. (2016). The mediating role of intercultural wonderment: Connecting programmatic components to global outcomes in study abroad. Higher Education, 71(1), 21-37. doi:10.1007/s10734-015-9886-6. Jourian, T.J., Simmons, S. L., & Devaney, K. (2015). “We are not expected”: Trans* educators (re)claiming space and voice in higher education and student affairs. TSQ: Transgender Studies Quarterly, 2(3), 431-446. doi:10.1215/23289252-2926410. Jourian, T. J. (2015). Queering Constructs: Proposing a Dynamic Gender and Sexuality Model. The Educational Forum, 79(4), 459-474. doi:10.1080/00131725.2015.1068900. Squire, D. D., Williams, T. E., Cartwright, M., Jourian, T.J., Monter, M., & Weatherford, A. (2015). 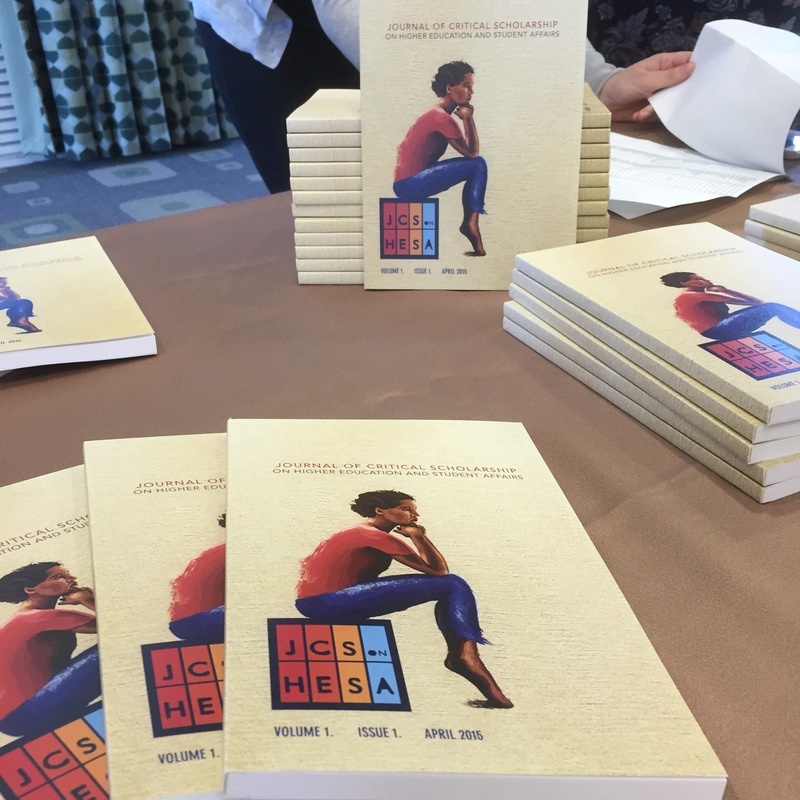 Exploring gender through education abroad programs: A graduate student case study. Journal of Student Affairs Research and Practice, 52(3), 262-274. doi: 10.1080/19496591.2015.1035383. Engberg, M.E., & Jourian, T.J. (2015). Intercultural wonderment and study abroad. Frontiers, XXV, 1-19. http://frontiersjournal.org/past-volumes/vol-xxv/. Jourian, T.J. (2014). Trans*forming authentic leadership: A conceptual framework. Journal of Critical Thought and Praxis, 2(2), 8. Available at http://lib.dr.iastate.edu/jctp/vol2/iss2/8. Jourian, T.J. (2017). “Fun and carefree like my polka dot bowtie”: Disidentifications of trans*masculine students of color. In J. M. Johnson & G. C. Javier (Eds.). Queer People of Color in Higher Education. Charlotte, NC: Information Age Publishing. Jourian, T.J. & Simmons, S. (2017). Trans* leadership. In D. Tillapaugh & P. Haber-Curran (Eds.). Critical Perspectives on Gender and Student Leadership (New Directions for Student Leadership, pp. 59-69). San Francisco, CA: Jossey-Bass. Jourian, T.J. (2015). Evolving nature of sexual orientation and gender identity. In D.-L. Stewart, K. A. Renn, & G. B. Brazelton (Eds. ), Gender and Sexual Diversity in U.S. Higher Education: Contexts and Opportunities for LGBTQ College Students (New Directions for Student Services, pp. 11-23). San Francisco, CA: Jossey-Bass. Squire, D. D. & Jourian, T.J. (2015). Going against the grain: Battling market-based individualism in higher education by establishing an open-access collectivist journal. Journal of Critical Scholarship on Higher Education and Student Affairs, 1(1), 7-11. Available at http://ecommons.luc.edu/jcshesa/vol1/iss1/1/. Jourian, T.J. (2014). Balancing priorities, needs, and identities when extending. [Contributing story in chapter on Extending Experiences]. In S. Ardoin. The Strategic Guide to Shaping Your Student Affairs Career. Sterling, VA: Stylus Publishing. 2017 - Not Your T*oken: The Power of Trans(*) & Gender Non-Conforming Scholars w/ D-L Stewart, E.N. Pitcher, M.A. Whitehead, Z Nicolazzo, f. schneider, & S.L. Simmons. 2014 - Queering the academy: Queer theory as theoretical foundation in higher education research. w/ B. Hughes, K. A. Renn, E. S. Abes, D. R. Means, J. M. Denton, & C. S. Robinson. 2013 - Men of color in higher education: Narratives from a doctoral cohort. w/ D. Squire, B.T. Kelly, & L.J. Manzano. 2016 - NASPA Doctoral Seminar: Navigating doctoral study milestones panel. w/ H. Diaz, K. Wheatle, & M. Amechi. 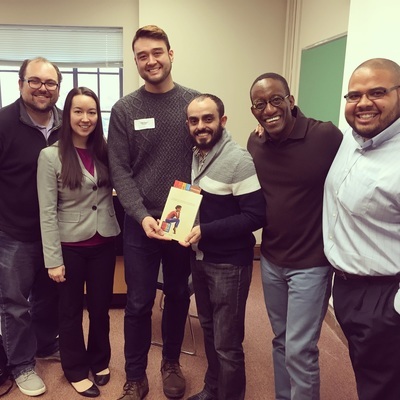 2015 - Masculine disidentifications: Learning from trans*masculine college students of color. Multicultural Institute. 2014 - Genderqueer and non-binary students: Research and practice. 2014 - Exploring gender through education abroad programs: A graduate student case study. w/ D. Squire. 2014 - Be strategic: Shape your student affairs career. w/ S. Ardoin, R. Borgmann, B. Bowden, J. Clay, R. Martinez, L. Osteen, & L. Smith. 2014 - Surface level: Culture as an iceberg & constructions of masculinities & femininities. Regions IV-E & IV-W Men and Masculinities KC Joint Drive-in Conference. 2011 - LGBTQI Student Leaders: Navigating Stress, Seeking Support. Multicultural Institute, w/ M. G. Brown. 2011 - Our(selves) among others: Deepening our understandings of the intersections of race, sexual orientation, gender identity, and gender expression. w/ L. Roper, J. Washington, L. White, A. Gonzalez, S. Travers, S. Subbaraman, & P. Roy. 2010 - Genderism: Transgender students and binary systems. Annual Conference & Webinar presented for GLBT Knowledge Community. w/ B. L. Bilodeau. 2016 - Trans*masculine college students' conceptualizations of masculinity. Twitter Talk for the Commission for LGBT Awareness. 2015 - Reframing community partnerships and academic research: Centering the public good. w/ C. Alcantar & D.R. Means. 2015 - T* Circle 2: Trans* and gender non-conforming educators on intersectionality. w/ S Simmons, K.C. Devaney, E.N. Pitcher, Z Nicolazzo, JT Turner, f. schneider, & A. Johnson. 2015 - Academic writing and publishing: Tips for graduate student success. w/ D.D. Squire, S. Jones, A. Holmes, C. Salinas, & D. Tillapaugh. 2014 - From accessing to shaping: Trans* and gender non-conforming inclusion in higher education. w/ E. N. Pitcher & K. Sanders-McMurtry. 2014 - T*Circle: A dialogue among trans* and gender non-conforming educators. w/ S Simmons, K.C. Devaney, E.N. Pitcher, Z Nicolazzo, JT Turner, f. schneider, A. Johnson, J. Faughn, & L. Patton-Davis. 2014 - Promoting intercultural wonderment through study abroad opportunities. w/ M. E. Engberg & L. Davidson. 2013 - Genderqueer and non-binary students: Research and practice. Webinar for ACPA’s Standing Committee for LGBT Awareness. w/ K. Devaney & S. Simmons. 2009 - Genderism: Transgender students and binary systems. w/ B. L. Bilodeau. 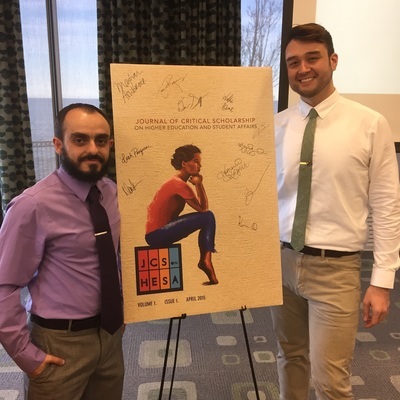 2015 - Redefinitions and intentionalities: The construction of college trans*masculinities. Translating Identity Conference; Gender Odyssey Conference. 2014 - Surface level: Culture as an iceberg & constructions of masculinities & femininities. Great Lakes Colleges Association Students of Color Leadership Conference. 2013 - Deconstructing the gender mosaic: The genderqueer and nonbinary pieces of the puzzle. Midwest Bisexual, Lesbian, Gay, Transgender, and Ally Colleges Conference (MBLGTACC). w/ K. Devaney & S Simmons. 2002 - Queer in residence life. MBLGTACC, w/ C. O'Laughlin. 2017 - "So I Cannot Smile? ": Black transmasculine students resisting and centering vulnerability. National Women’s Studies Association (NWSA), Baltimore, MD. 2016 - Where are we at? Where are we going? Surveying the trans* landscape in Higher Education and Student Affairs. Trans*Studies Conference, Tucson, AZ, w/ Z Nicolazzo, D.C.J. Catalano, & D-L Stewart. 2015 - Exploring Pathways Forward for LGBT2s. For the Consortium of Higher Education LGBT Resource Professionals, w/ M. Armstead, & J. Grosser. 2014 - Publishing and authoring in an open access world: Panel discussion. Open Access Week, Loyola University Libraries, Chicago, IL. w/ D. Squire, P. Morris, & T. Hoellein. 2014 - Bringing our communities to the research table: The liberatory potential of collaborative methodological practices. National Symposium on LGBTQ Research in Higher Education, East Lansing, MI. w/ Z Nicolazzo. 2012 - Queering the intersections: Why are all the (queer) students of color sitting together in the cafeteria. Creating Safe Campuses in Georgia: Supporting LGBTQ Students in Higher Education. 2012 - Advancing and promoting safe space programs. Creating Safe Campuses in Georgia: Supporting LGBTQ Students in Higher Education. 2006 - Death by Gender: Organizing Against Hate. GenderYOUTH Leadership Summit, w/ M. Bailey, D. Hickey, & L. McKibben. 2003 - Border Crossings: Multiple Oppression and LBGT Identities. w/ E. Clare K. Renn, & R. Patterson.